The art behind creating a seamlessly stitched together photo is nothing easy. It's a long tedious process that when done correct yields an image that's other worldly, freezing multiple moments in time all in one photographic frame. 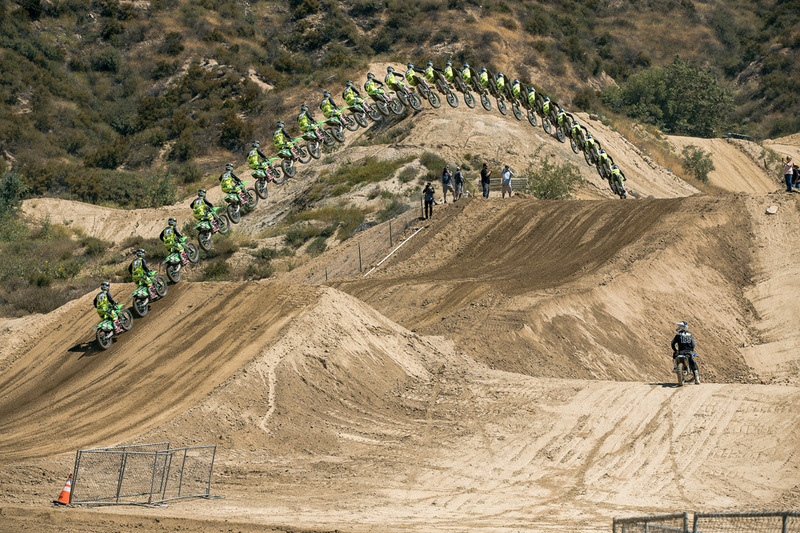 Prior to the second round of the Lucas Oil AMA Pro Motocross Championships at Glen Helen, we went out to the local Southern California track to snap some pics of the pros testing out the new layout and humongous jumps. This sequence was snagged of Josh Grant hitting the big 150-foot uphill triple step up with confidence and style, and after stitching it together, we couldn't help but share it.